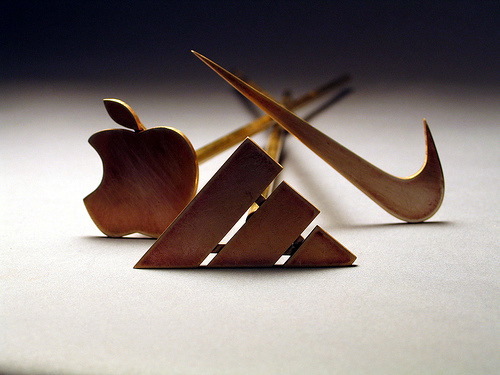 Corporations and companies today spend millions of dollars on corporate branding. Why is corporate branding so important that it attracts so many businesses, big and small, to invest much time and money on it? Effective corporate branding can boost the bottom line of your company significantly; it has the ability to equip a new product or service with instant credibility and value in the market. You don’t need to be a rocket scientist to know that for any serious corporation that wishes its product offerings to be successful, corporate branding is an essential and vital tool to project a strong brand and identity. What’s in a brand anyway? I looked it up on Wikipedia, here’s what the site has to say about branding: A brand is a symbolic embodiment of all the information connected to the product and serves to create associations and expectations around it. A brand often includes a logo, fonts, color schemes, symbols, and sound, which may be developed to represent implicit values, ideas, and even personality. Whenever we talk about branding, we almost always think of logos and slogans. See the curved tick on your running shoes and apparel and you’ll recognize in an instant the famous Nike ‘Swoosh’. What comes to your mind next? ‘Just Do It’. But do you know that branding can also take place at a personal level? 1. Develop your own personal marketing plan. Include your personal mission statement: what on earth are you here for? What do you hope to achieve in your lifetime? Specify your short-tem and long-term goals, and plan your timeline to achieve your goals. Include detailed strategies and action steps, and don’t forget to review your personal marketing plan quarterly. In whichever field or industry you’re in, aim to be the best you can be and to offer the best you can give. Make use of every opportunity to learn and hone your skills. Become the expert whom people in your professional field go to for help and advice. Give a lecture, contribute advice and articles to an e-zine, or go join your local community organization. An elevator speech is a short, succinct description of what you do, how you do it differently from the others, and the benefits you’re able to provide to your customers. Develop yours today and present it to prospective clients whenever opportunities arise. Find a charitable cause which you are passionate about and is related to your particular field of expertise. Give it back to society for the help society has given to you. Donate your time by volunteering to do work for free for a local charity. Give your expertise and advice or even donate money to a charitable cause. By doing all these, you’re reinforcing your personal brand and establishing your credibility. Your personal brand, if managed and developed properly, can become your greatest business asset. Decide today to build up your personal brand, and it’ll go a long way in your entrepreneurial career. Written for The Closet Entrepreneur by Marcel Sim, author of GetEntrepreneurial.com, a blog full of small business tips and advice, and a great resource for aspiring entrepreneurs! Thanks for the posting your personal branding tips. Many people overlook the importance of developing a personal marketing plan and just jump in head first. @Matt – Thanks for the link!